In 2007 the annual downtown Seattle “Nutcracker March” headed to Salty’s for their new home in West Seattle, Des Moines and Portland. 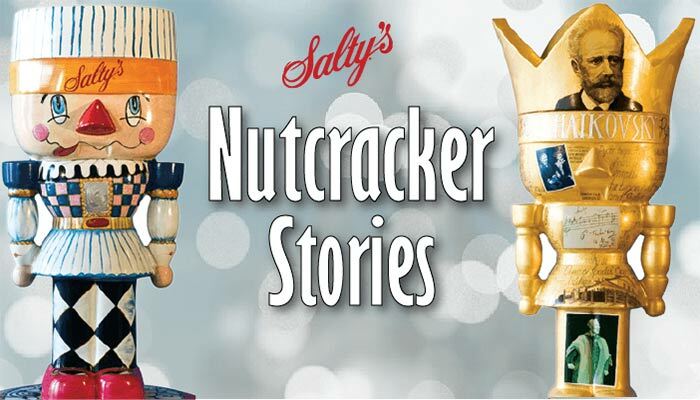 Beckoned by Salty’s owner Gerry Kingen, the giant nutcrackers saw 2007 as the third and final season of the fundraiser for Northwest Center called the “Nutcracker March” inspired by the Pacific Northwest Nutcracker Ballet. The fund-raiser benefitting Northwest Center started in downtown Seattle as a public art display. Individually designed by local Northwest artists, these seven-foot tall colorful sculptures used to stand guard in downtown Seattle and now they are found at Salty’s from early December into the new year! Read their stories below! 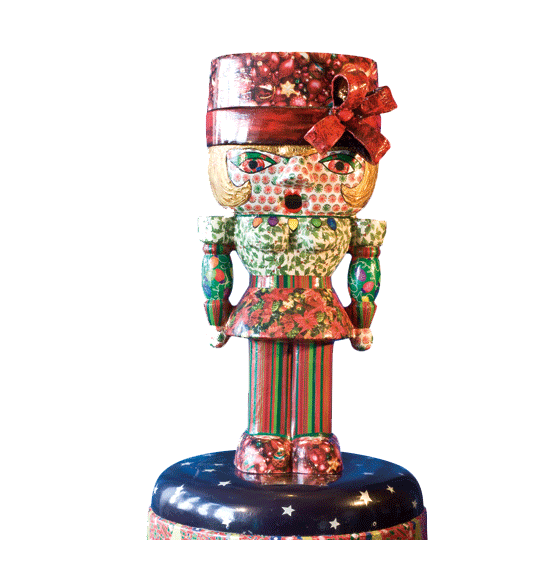 The beautiful, buxom, accessorized, vivacious nutcracker – GIFTED! I can sing, dance, tell you stories and entertain you. Raise your spirits, make you smile, make you laugh and guide you effortlessly through the holiday season. I am all wrapped up in holiday love! On the rain, the sun, the moon, the soil, the food, the farmer and the animals and we all need to work together as a great, helpful team to be sure that we take good care of our earth, our friends and neighbors, our families, ourselves and our animals. Be kind, be respectful, be helpful, be truthful because so much depends on us. According to German folklore, nutcrackers were given as keepsakes to bring good luck to your family and protect your home; guarding your family from evil spirits and danger. 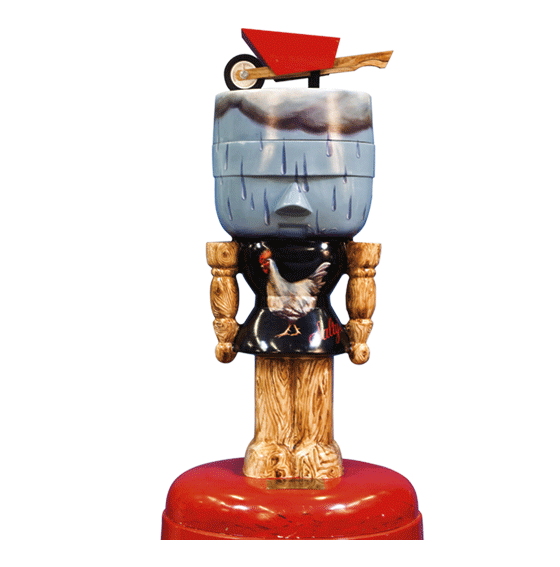 A fierce protector, the nutcrackers bares its teeth to evil spirits and is also a messenger of good luck and good will. Writers, composers and artists have sung the praises of the legend of the Nutcrackers beginning with the novel “The Nutcrackers and the King of Mice,” written sometime between 1776 and 1822 by E.T. Amadeus Hoffman. 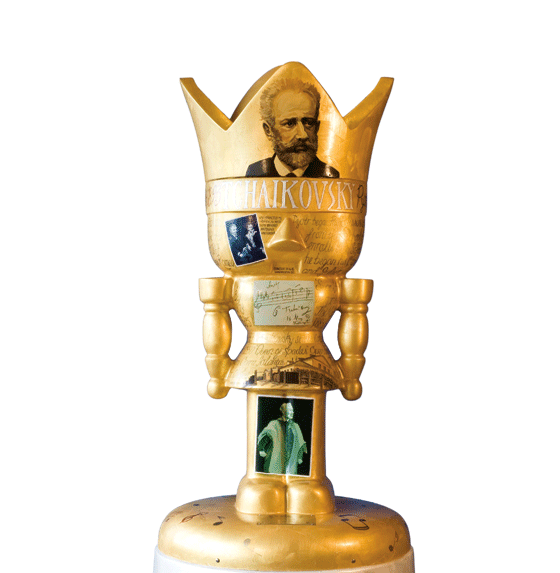 The novel became the basis for Pyotr Ilyich Tchaikovsky’s magnificent “Nutcracker Suite”, which debuted as a ballet in St. Petersburg, Russia in 1892 and lives on as a holiday tradition throughout the world.